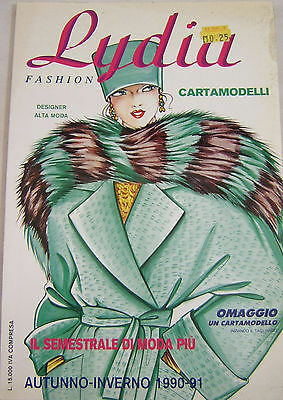 Published in 1990, this is one of a selection of fashion magazines, specialising in the style of the era. This one, the Italian magazine, "Lydia Fashion" covered the haute couture collections promoted during the autumn/winter of 1990/1991. 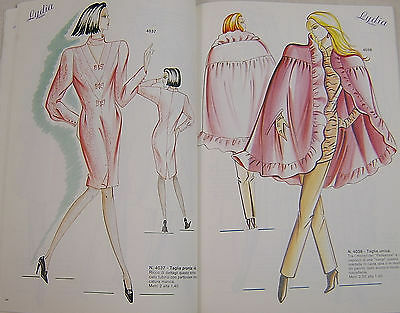 The magazine which has 88 pages each fully illustrated as shown by photo 2 for example. UK postage is FREE . Overseas postage is £6.95. My apologies to all overseas customers who may think my charges are high. The magazines are heavy and, regrettably, our Royal Mail charges by weight!